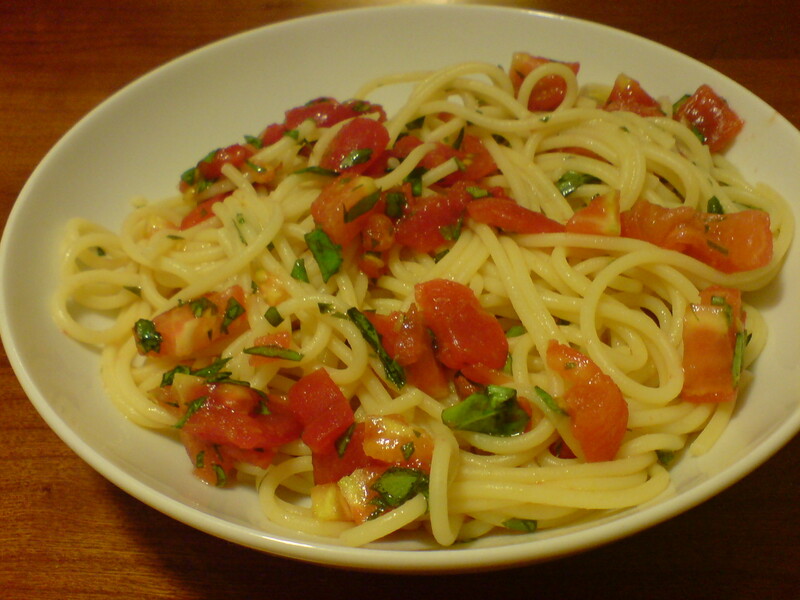 Spaghetti al pomodoro crudo. This is a really good dish for a hot summer’s day. It’s only worth doing if you can find really ripe, tasty tomatoes though. If all you can find are the usual UK supermarket version ie. hard as a golf ball and flavourless – don’t bother 😉 Serves 4. 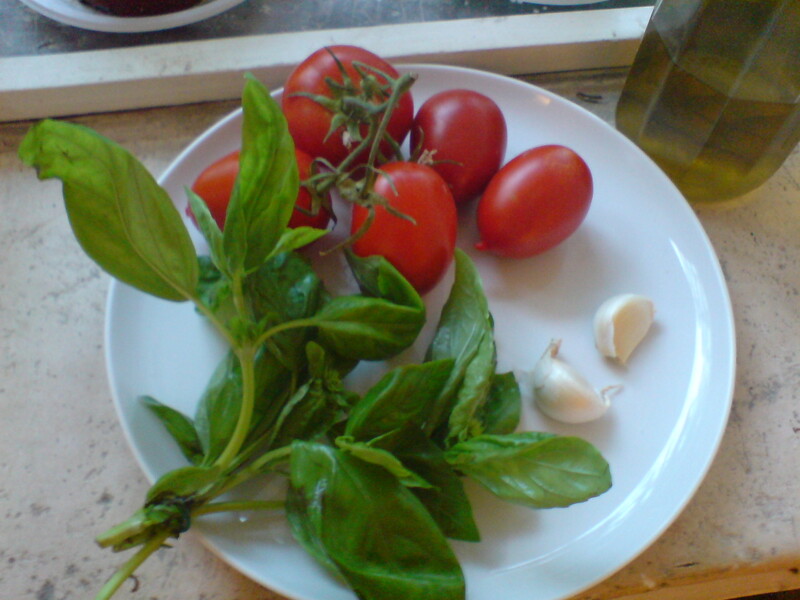 Put the tomatoes into a large bowl along with the oil, whole garlic and basil. Season with salt and pepper and mix well. Cover and leave in a cool place to allow the flavours to develop – at least 1 hour but the longer you can leave it the better. 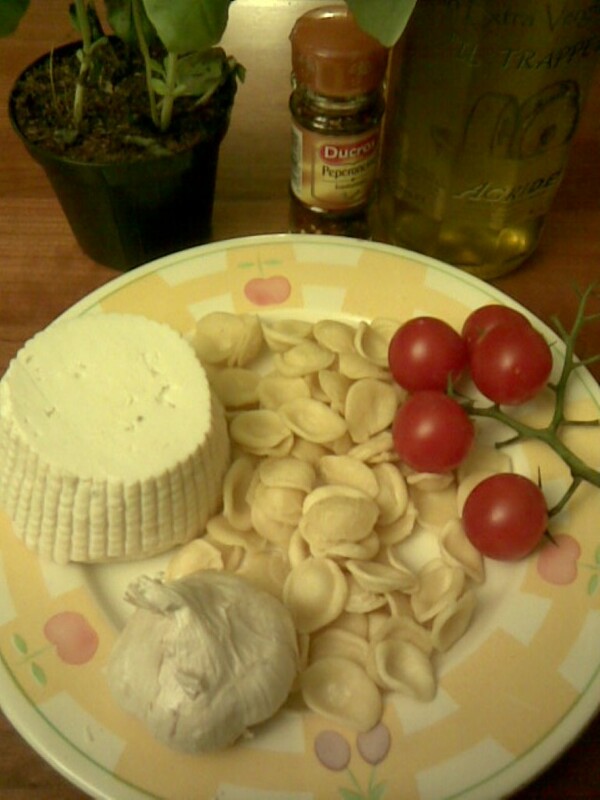 Remove the garlic before serving. Cook the spaghetti until al dente, drain and mix with the sauce. Heat the oil and butter in a pan, add the onion, celery and cook over a low heat, stirring from time to time, for 10 minutes. Add the meat and stir-fry until it is browned all over. Add the wine and let it reduce until it has almost completely evaporated. Add the tomatoes along with 150ml warm water. Cover and simmer over a low heat until the meat is tender, 1-2 hours. Fry the garlic clove in the olive oil until golden and then discard.